Feb. 4, 2016 -- Minister of Sport and Persons with Disabilities, Carla Qualtrough, responds to a question from the opposition on improving access to copyrighted works or other subject matter for persons with perceptual disabilities, in line with the Marrakesh Treaty. 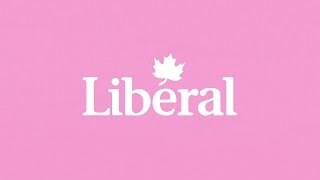 Added April 21, 2016 from MP Carla Qualtrough. Apr. 21, 2016 -- Minister of Sport and Persons with Disabilities, and Member of Parliament for Delta, Carla Qualtrough wishes you and your family a Happy Vaisakhi and Khalsa Day. Hon. Carla Qualtrough introduces an act to amend the Copyright Act. Mar. 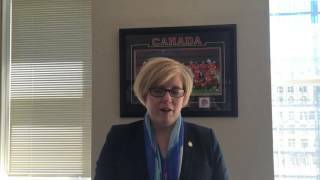 3, 2016 -- Minister of Sport and Persons with Disabilities, Carla Qualtrough, moves to introduce an a bill that amends the Copyright Act, improving access to copyrighted works or other subject matter for persons with perceptual disabilities. Dec. 11, 2015 -- Minister of Sport and Persons with Disabilities, Carla Qualtrough, responds to a question from the opposition on Own the Podium.